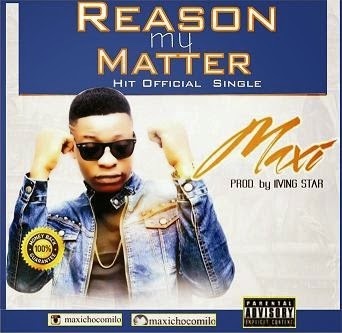 From Osun State but groomed in Port Harcourt City, comes this young and vocally creative act by name Abidoye Adesheye Kasim known on stage as Maxi with the official press release of his new single ‘”REASON MY MATTER”. “Maxi” Da Eziokwu Commands a.k.a Mr Chocomilo. He came out tougher with another demon tune which scattered the Hood n clubs called Rosy. Now do u think “REASON MY MATTER” is set to rule? check out for songs like Chocomilo, Rosy, Do Re Mi. “Mind you this is a region where a lot of artists are known merely by their hits. He’s made reference to his light skin swag in his lyrics.